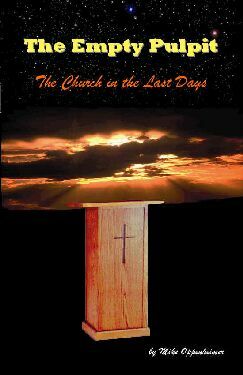 “The Empty Pulpit” is about the fact that many in the pulpit are not engaged in true Bible expository teaching. Thus there is a lack of equipping the church for genuine ministry. It is about Christ being replaced by following certain men, programs, activities, entertainment and motivational speaking. It is about prophecies on the return of Christ. It is about a last day’s deception that affects the Saints of God as well as the World. In this book we find the answers from the Bible and from a Biblical perspective on the various winds of doctrine blowing through the Church today. If you have enjoyed the articles on the Let Us Reason website you will benefit from this book. Many new topics are expounded on. Does having eternity in your heart mean that you know God and are His child? Could Gentile cultures understand the Gospel from the stars? Did God create man’s cultures? Has God always been in the process of redeeming cultures from the time of Babel by placing in them a true revelation of Himself? 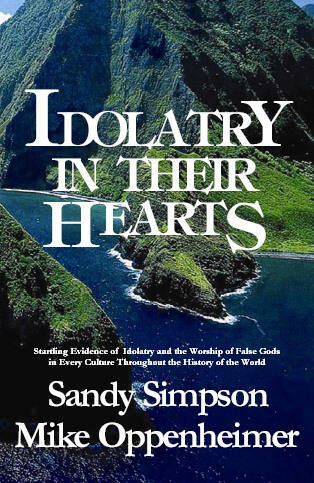 Did God shape men's cultures and leave them truth, or other ways they worship. Is there the worship of YHWH in all cultures and religions through the names of “supreme beings”? Have all cultures always had a way to make things right between them and God? These questions and many more are answered in this book that addresses the teachings of the World Christian Gathering on Indigenous People movement. This is a 414 page book that contains a wealth of information on this new teaching and movement. How does the Bible describes the nature of God and His Son? 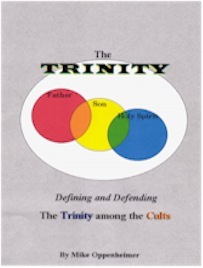 Learn how to explain the Trinity to those who oppose it. What does the Oneness Pentecostal /Apostolic movement believe? There are very few books on this subject. Does the Bible teach or refute their position that God is strictly one person at a time, and the name for all three manifestations is Jesus. Learn how to understand and explain the most confusing counterfeit of Jesus being called God but at the same time denying the Trinity and the eternal Son as a person. Also the issue of salvation by baptism in Jesus name is covered. Why we baptize as Matthew 28 dictates. A thorough look at the gospel, its activities and various facets. It is important that every Christian understands the Biblical meaning of the Gospel and historicity of Christian Baptism. This book covers the fall of man the introduction of the sacrificial system, how it was used throughout history. What the Gospel is and what it is not. The way of salvation. refuting those that add works to the gospel, such as the law, and the ceremony of baptism. The Biblical view of grace, faith and the message that saves. This book is about the gospel and God’s way of salvation. How a person is saved from their sin is the subject of this book. Covering man's sin in Genesis as we trace God's solution through biblical history. PDF The Gospel- What is the Way of Salvation?